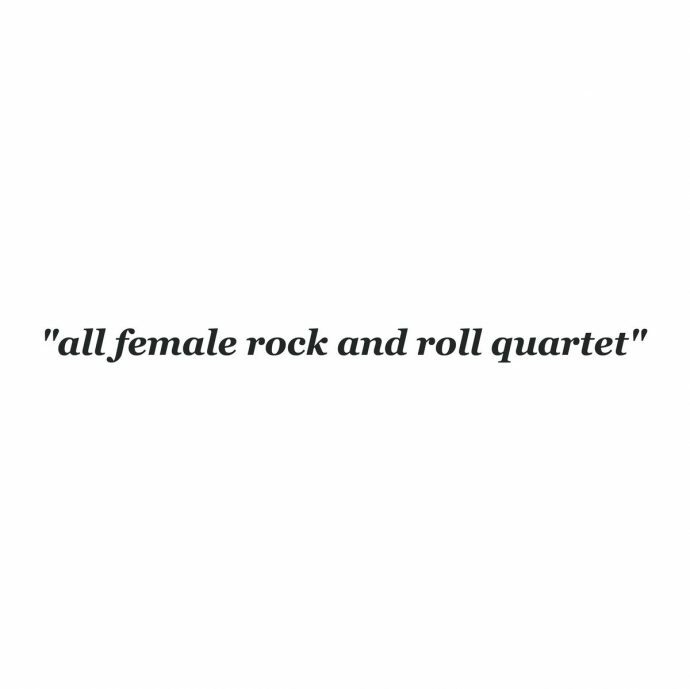 The She’s have basically written my whole intro for me with their sophomore album title, all female rock and roll quartet. The San Francisco-based band noticed that most articles written about them included a line similar to the album title or one of their track titles, “Local Favorite All Female Garage Rock Quartet,” and got tired of these outsider labels. I’m guilty of it, I’ve written similar lines about all-female bands as if all-male bands are the standard. Despite their satirical, generic title, The She’s have created a fresh album that is anything but generic. It combines youth and maturity, as well as vintage pop and modern garage rock, to make an album that is both fun and packed with heartache. This quartet creates garage rock with a sunny California ’60s surf-pop flair and ‘50s pop touches. Many of the songs have dreamy, ‘60s girl group vocal harmonies; “Heartache” and “Lie Again” completely capture ’50s and ‘60s pop. The vocals are consistently gorgeous and clear over radio-static samples. The light fuzz of these songs keeps the album cohesive with the more garage rock tracks like “Ashes,” “Anywhere But Here,” and “Sick.” “Anywhere But Here” has a melancholy garage rock sound that brings Weezer’s Pinkerton to mind, ending with a dramatic crescendo. “Local Favorite All Female Garage Rock Quartet” is a watery, bouncy instrumental. It’s a bit of departure from the rest of the vintage pop-garage rock sound of the rest of the album. The She’s are talented, not just among female bands or young bands. If this is what they’ve written, performed, and produced as young, self-taught musicians, they will be a band to keep an ear on going forward.